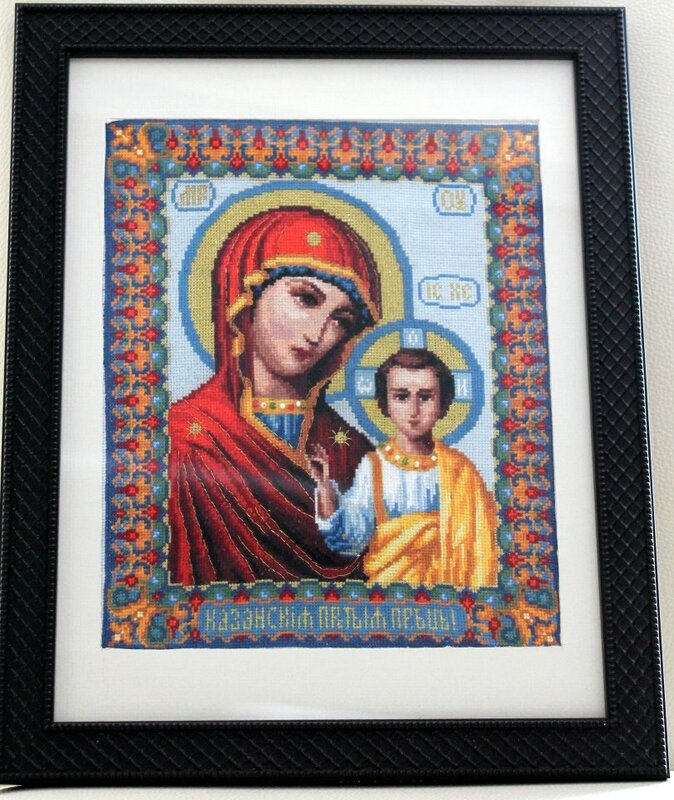 An amazingly talented and patient friend finished this 9″ by 11″ cross-stitched icon just in time for Easter. Are you ready to celebrate Пасха (Easter) next weekend? That’s right, since Russian Orthodox Church still uses Юлианский календарь (Julian calendar), церковные праздники (church holidays) do not usually fall on the same dates celebrated by the Western Christian Church. So you still have a few days to learn useful words about this светлый праздник (lit: the bright holiday, but also the holy day). Even though the dates of the holiday are different, it celebrates the same event – воскресение Иисуса Христа (resurrection of Jesus Christ). Пасха itself always falls on воскресенье (Sunday) which is called светлое воскресенье (lit: the bright Sunday, the holy Sunday). The two words воскресение (resurrection) and воскресенье (Sunday) look very similar. Unless the former is annunciated very carefully, the two words sound exactly the same. Traditional Easter greeting is Христос воскрес! (Christ is risen!) and the response is Воистину воскрес! (In truth He is risen!) Some people even answer the phones with these greetings instead of the usual алло (Hello). In the pre-Revolutionary (pre-1917) days, Пасха had rich holiday traditions. Most were suppressed and forgotten during the 70 years of Soviet regime. In the last two decades or so the holiday has undergone a resurrection and revival of its own and so have its traditions. После того, как священник освятил кулич, Наталья пошла домой (After the priest blessed the Easter cake, Natalia went home). Instead of Western egg hunts, Russians have a traditional game called катание яиц (egg rolling). The idea is somewhat similar to the game of marbles, except players use brightly colored eggs that they roll down a grassy hill. By the way, while in the West eggs are dyed pastel, in Russia the traditional color is красный (red). Why? Because, as the story goes, when Mary Magdalene came to the Emperor Tiberius with the news of Christ’s resurrection, she, being a very poor woman, brought but a single egg as her дар императору (gift to the emperor). He did not believe her and exclaimed “How can someone воскреснуть из мёртвых (rise from the dead)?! It’s as impossible as for this egg to turn red.” Of course, just as he said so, the egg Mary Magdalene gave him turned red. Have you ever tried making пасха or кулич? Whether you celebrate Easter or not, these two are delicious Russian блюда (dishes) to try. Thank you Yelena for the nice светлый explanatoins. Спасибо, Яков. If there’s something in particular you’d like to read about on the blog, please let us know!